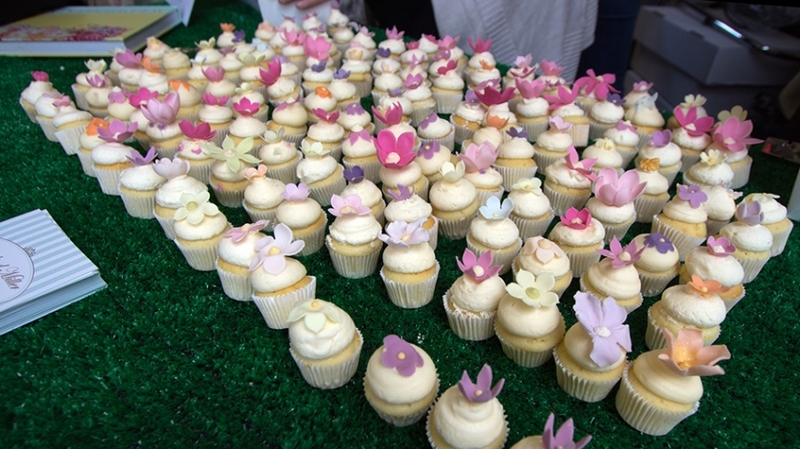 A meadow of sugarpaste flowers billowing in the wind created by Rosalind Miller Cakes. Another delectable treasure from the Experimental Food Society Spectacular. The meadow of flowers was created to draw attention to the loss of wildflower meadows in Britain. Celebrating a love of sugar flowers and the 'coronation' status of wildflower meadows, Rosalind Miller Cakes created this stunning meadow of sugar wildflowers that actually sway and bow in the breeze of a fan. Find out more about the Experimental Food Society here. 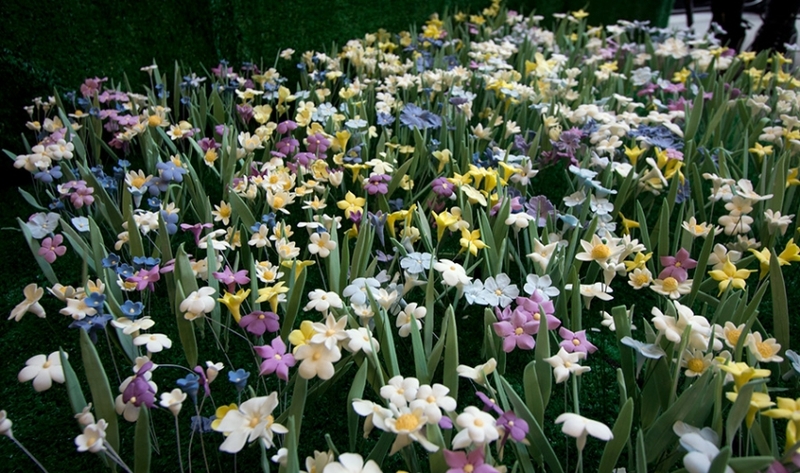 A veritable sea of flowers! 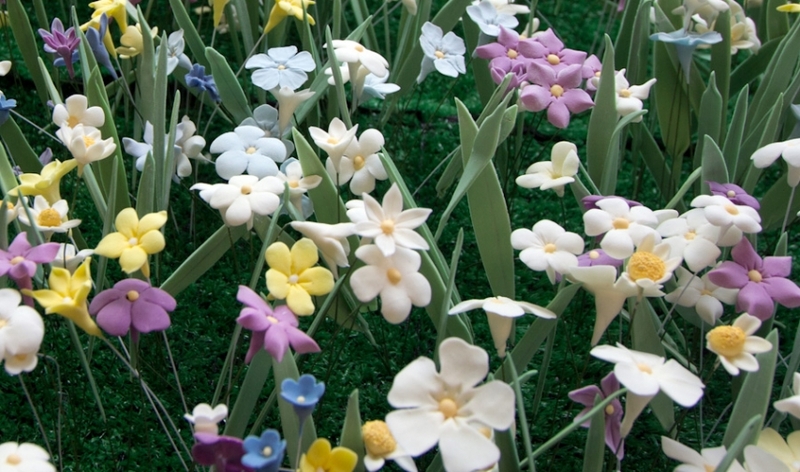 Each delicately made by hand from sugarpaste and wire carefully together into the astroturf. The flowers and their leaves sway gently in the breeze, like real flora. 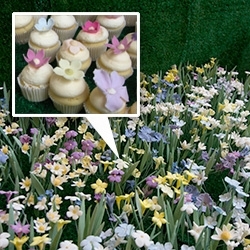 An array of delicious flower-topped miniature cupcakes.